If you’re interested in solar panels for your home, where do you start? 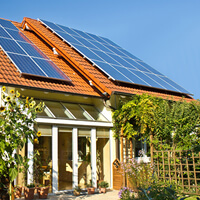 You’re likely keen to find out which are the best solar panels for your home. All solar panels will provide you with free electricity and so long as they’re installed by an MCS registered company you’ll receive the feed-in tariff. There are a number of solar manufacturers and the best in this field include Canadian Solar, Sharp, Schott, Mitsubishi and Yingli. Of course, there are other highly respected brands too. Mitsubishi have been tied with solar panels since the 70s and are often seen as one of the most expensive options. In fact, prices can start from £300 for a single module, with 2kW systems costing in excess of £6,000. However, they pride themselves on efficiency and longevity. Schott is another company known for excellent quality and efficiency levels and the German manufacturer has been operating in the UK for 40 years, with 17,000 employees. These systems are typically cheaper than Mitsubishi, with a 3.76kW system setting you back £7,000 including the installation. It wouldn’t take long for an American company to be mentioned, and Solarworld are the leading US solar manufacturer. Solarworld panels come with a guarantee of 10 years and products are known to be cheaper than Schott, providing a service to both homeowners and businesses. And of course, with China’s foothold on world production, Yingli is one of the top manufacturers. Their systems would cost you around £7,500 for a 4kW system, but with the high efficiency and feed-in tariff payments there’s an excellent profit to be made. Every solar installation is different and comparing different systems will come down to the power output and overall efficiency. Both of these combined will help you calculate potential savings and earnings over 25 years. Don’t always take the cheapest price that comes your way, because the best solar panels may cost more, but you’ll receive a greater return on investment. Better efficiencies will reward you with a more lucrative feed-in tariff payment. One of the main reasons you’ll invest in solar panels is for the feed-in tariff payments. The current rate of 14.9p/kWh will see you earn around £500 every year and this is on top of the money you save on energy bills. But to receive this income, you must use an MCS approved company. If you’re interested in producing your own electricity and avoiding the expensive National Grid rates, then make sure to use our quick and easy service and compare up to four quotes from MCS registered solar companies in your area.